Burglary and Home Invasion charges are major felonies and convictions will likely result in serving jail time or even a significant amount of time in prison. The best thing you can do to protect yourself is to immediately contact LEWIS & DICKSTEIN, P.L.L.C., Michigan’s elite criminal defense law firm. 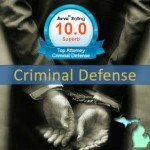 Our attorneys specialize in defending people charged with criminal offenses. We have won dismissals and not guilty verdicts in state and federal courtrooms across the United States. Our attorneys are ready to fight to protect you and assure that your rights are honored and that you are given the best possible defense. We have an excellent track record of success in defending the most serious criminal matters. Our attorneys often get involved in files even before a case goes to court in an effort to avoid or lessen charges. Early contact with the police and prosecutors by an attorney can sometimes benefit a person being investigated for potential charges. Getting legal help early is beneficial and can mean the difference between incarceration and freedom. There are two elements that must be proven beyond a reasonable doubt to be convicted of burglary. The first element is that a person actually entered into a structure without permission to do so. The second element is that a person must have intended to commit a felony when entering the building. If the prosecutor cannot prove those elements beyond a reasonable doubt then the prosecutor can possibly secure a conviction of a lesser offense such as trespass. The elements are similar to burglary except that the offense must be committed in a home or structure attached to a place where people live. The intent to commit a crime must be formed before or during the time person is in the home and/or an assault must have occurred in the home. If a person is present in the home at the time of the offense, the charge is much more serious. Burglary is a felony punishable by up to 10 years in prison. If the crime is committed with a firearm (whether that weapon is used in the commission of the crime or not), the maximum sentence is up to 20 years in prison and/or a $5,000 fine. Home invasion is divided into degrees. A first degree home invasion is punishable by up to 20 years in prison or a fine of not more than $5,000, or both. A second degree home invasion is punishable by up to 15 years in prison or a fine of not more than $3,000, or both. A third degree home invasion is punishable by up to 5 years in prison or a fine of $2,000, or both. The penalties are severe which is why great legal representation is mandatory if you want your best chance of an acquittal or avoiding incarceration. When you are faced with a possible loss of freedom, you must have the best legal representation available. You can to protect yourself, your family, your freedom and your rights. The only way to do that is to have the elite criminal defense firm of LEWIS & DICKSTEIN, P.L.L.C. represent you. Our attorneys pride themselves in standing between our clients and the prosecutors and police who are trying to convict them. We will do everything humanly possible to make sure that you are given the best defense available. LEWIS & DICKSTEIN, P.L.L.C. 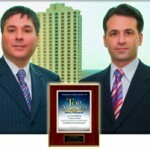 is top of the line in respectability, quality representation and experience. We do not take your trust in us lightly and we will provide you with a defense that goes above and beyond that which you would get with any other defense lawyer in Michigan. Our goal is a dismissal or a not guilty verdict when possible. Please call us at (248) 263-6800 for a free consultation or complete a Request for Assistance Form and one of our attorneys will call you.